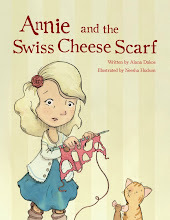 I am so happy to be part of the blog tour for the adorable new e-book, From Mama, With Love, a collection of 15 sweet little knits designed by Connie Chang Chinchio, Tanis Gray, Margaux Hufnagel, Melissa LaBarre and Kate Gagnon Osborn. Each of these incredibly talented designers are also mothers of small children and love to create adorable knits for their little ones. 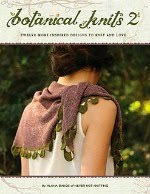 They have all come together to produce this e-book, each contributing 3 patterns each with their own children as models. 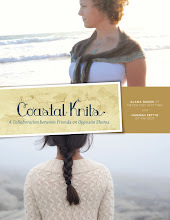 As a knitwear designer and mother of two children myself, I just love this idea of moms getting together to collaborate on a project like this! You can view all of the projects in the e-book HERE. 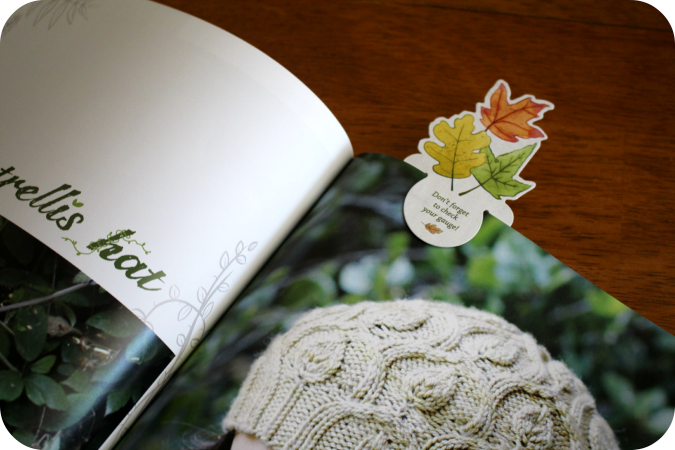 I find myself especially taken with the Sid Scrappy Hat designed by Melissa LaBarre. Isn't this just so adorable? Take a look at From Mama, With Love and help support these talented, hard-working moms. 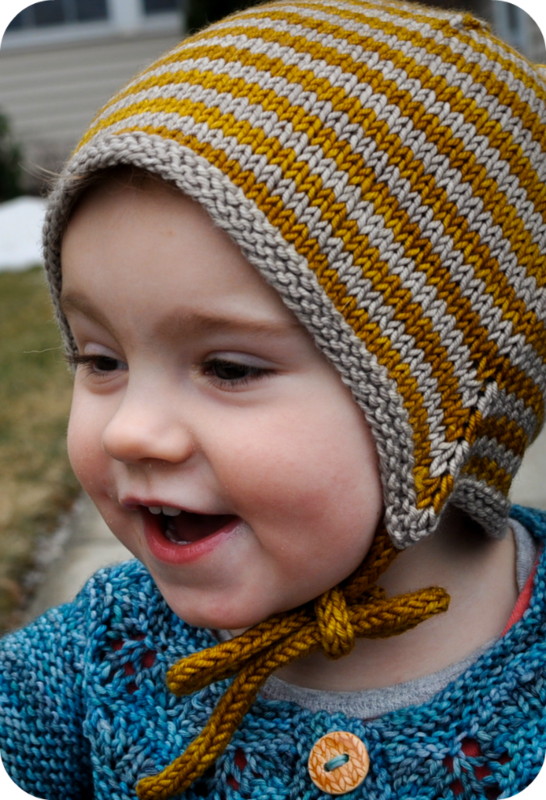 I just received the photos of my new hat design, Sprig Cloche, from the beautiful Julie Crawford of knittedbliss.com. 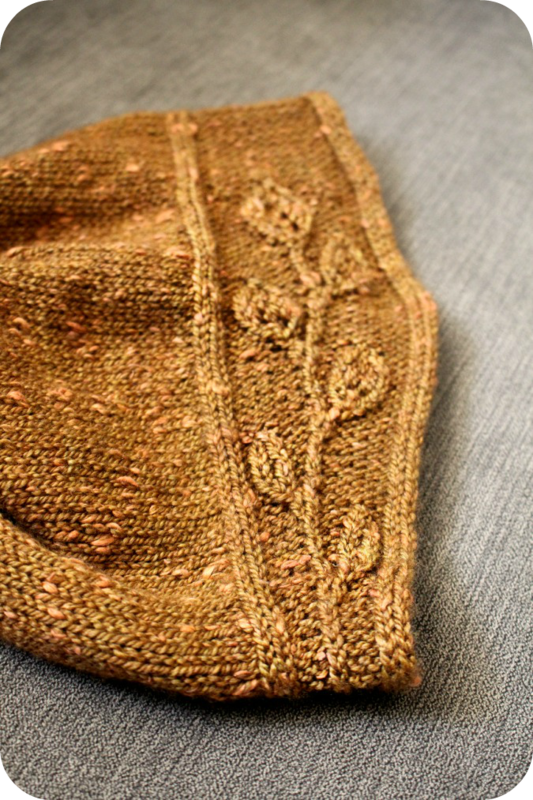 This hat pattern will be included for free with pre-orders of Botanical Knits 2 on our website. 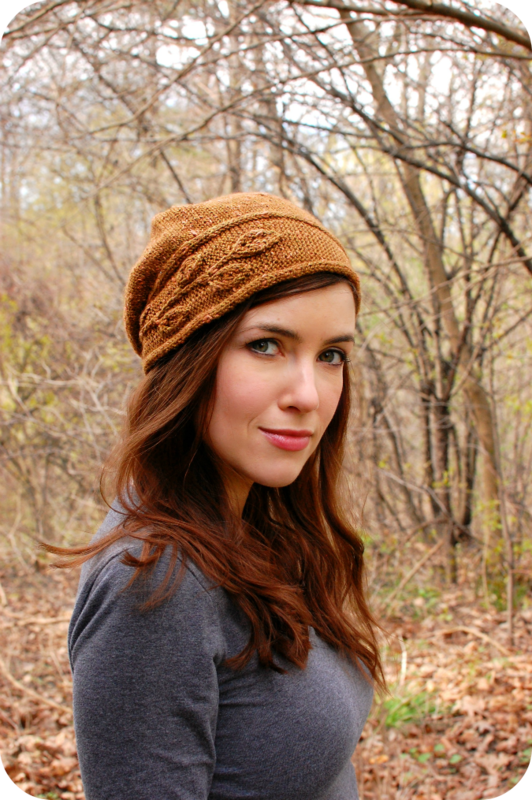 I will also release the Sprig Cloche pattern for sale in July. I'm awfully excited about this little hat. After the popularity of the Oak Trail cloche pattern from Botanical Knits, I wanted to try and create the cloche style hat shape once more. This time I experimented with increasing, decreasing and short rows to create an asymmetrical brim, much like the neckband of the Sprig sweater from Botanical Knits 2. This hat is stylish and can be worn many ways. Julie is wearing it in more of a slouchy style in this photograph, but it can also be worn very low on the forehead. Additionally the "sprig" of foliage can wrap in the other direction around the opposite ear. 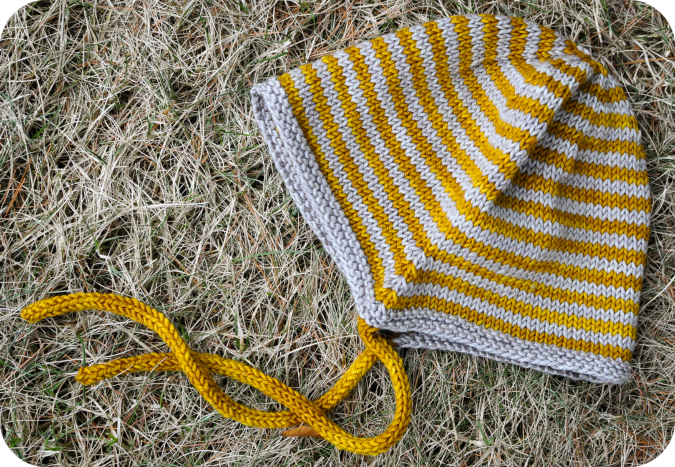 I think that you will find this pattern to be another fun and interesting knit. I look forward to releasing it! 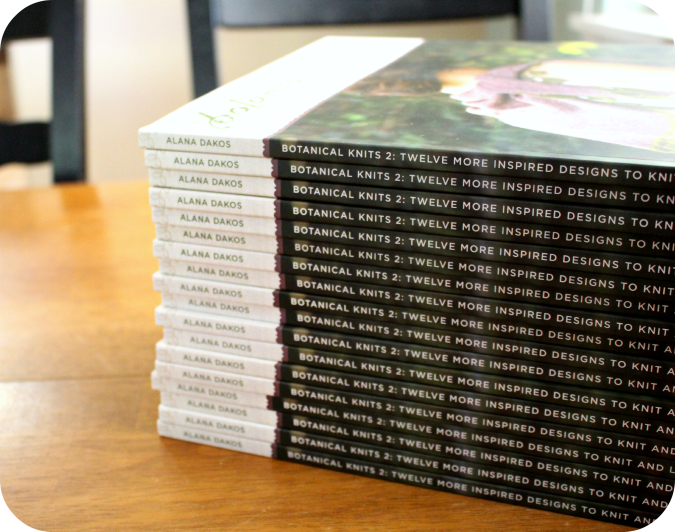 Advanced copies of Botanical Knits 2! Fresh from the printery! It is always such a rewarding experience to see your finished book printed and bound for the first time. I have to say however... I was equally excited to see this adorable little bookmark I had made up. 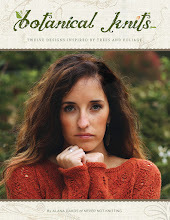 pre-ordered Botanical Knits 2, and it has been designed with a couple special, little, useful features. It clips perfectly to the page to mark your place in the book. 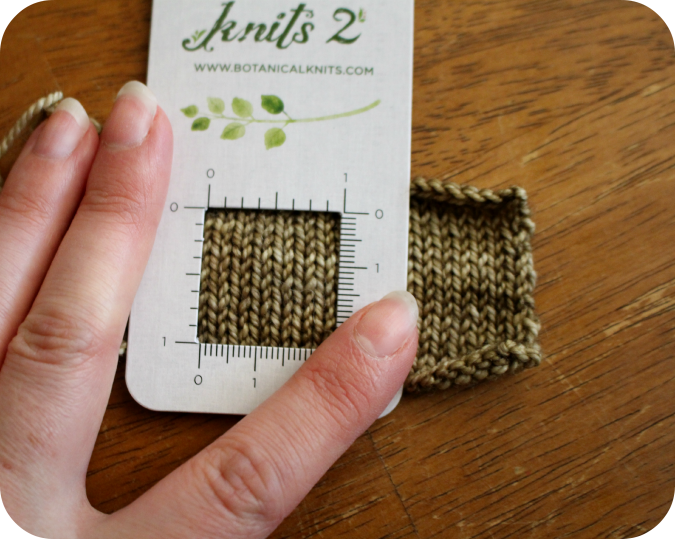 And even contains a 1" cut out to measure your stitch and row gauge! 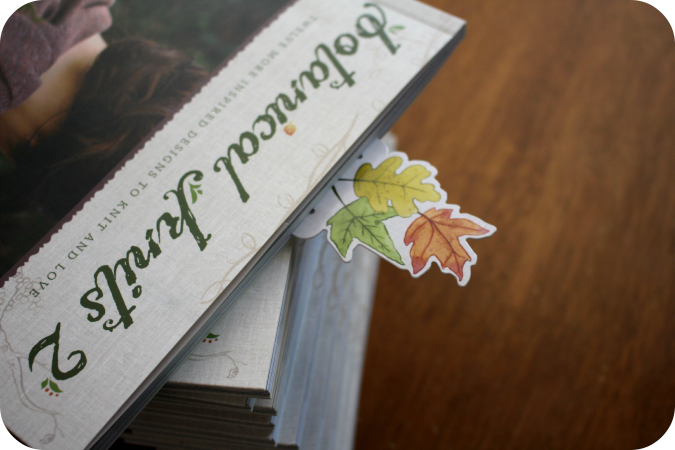 I just love how the little leaves stick up out of the book! Who knew a bookmark could make me this happy? I hope you love it too and find it a useful addition to your book! 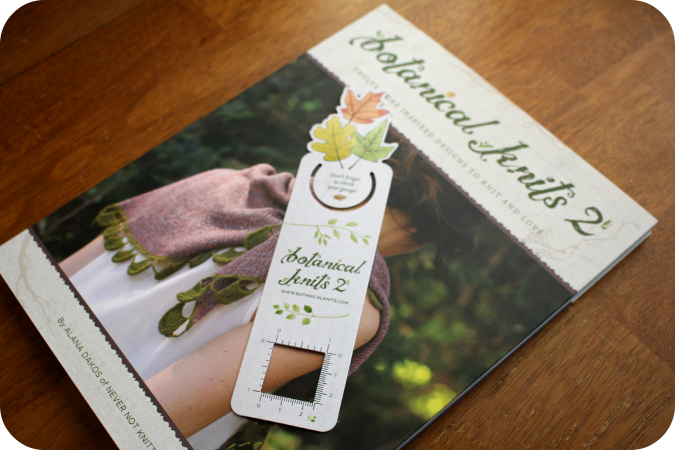 Botanical Knits 2 will be shipping next month! But pre-orders are still open on our website HERE. Remember that everyone who pre-orders will receive the e-book right away and the print book, bookmark, and extra pattern next month in the mail!